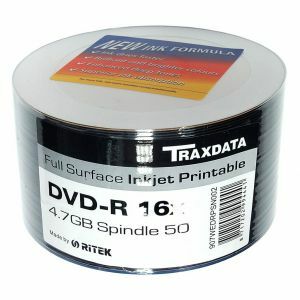 Traxdata is one of the world's leading optical media brands, and their European discs are manufactured and distributed by Ritek. 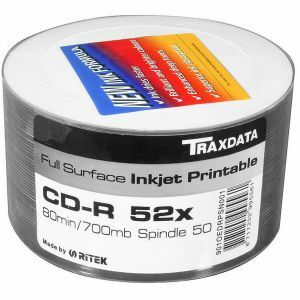 That means you get the famous Ritek high-compatibility dyes in every Traxdata disc sold at Disk Depot- ideal if you're doing large-scale duplication for use in different brands of player or drive. Ritek is a major Taiwanese company that has particular expertise in the areas of optical disc data storage and flash-memory based devices. Since they were founded in the late-1980s, they have grown to be one of the world's leading disc manufacturers. Their media are particularly well-known for their high-compatibility with different CD and DVD drives.